Getting a view of the past, high on Hadrian’s Wall. Stories can take you a long way from home! 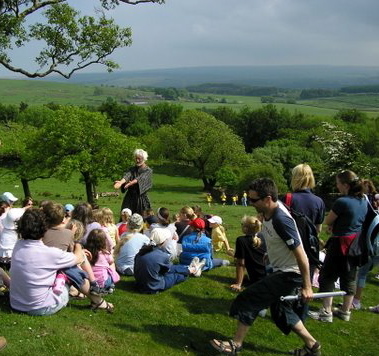 Jim tells stories to people gathered on a hillside, sitting in a circle at school, round a fire side, in a castle- you name it, it’s probably happened! 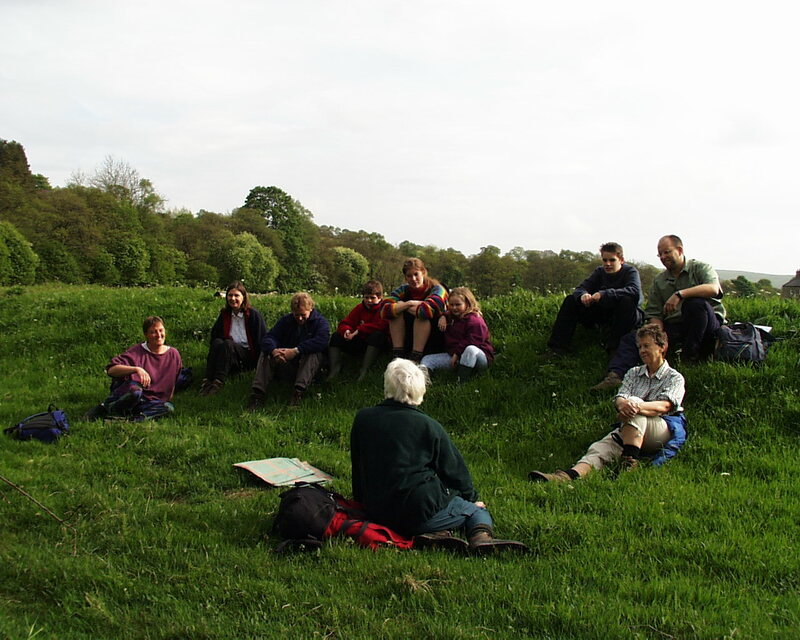 After many years as a Primary school teacher in the city, and then leading an inner city environmental training site, Jim enjoys telling stories that demonstrate humanity’s dependence on nature. Since he is a longtime native of Northumberland, the history and landscape of this beautiful and turbulent region also feature largely in Jim’s repertoire.